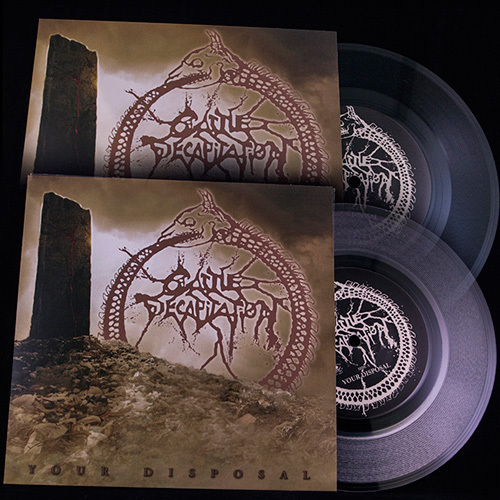 CATTLE DECAPITATION will be releasing a 7″ single this summer! Your Disposal features the B-side, An Exposition of Insides, which was previously available only as a Japanese bonus track on the band’s most recent album, Monolith of Inhumanity. The single is available (both black and clear vinyl) for order on-line on indiemerchstore.com for $5.50, as well as in a bundle with a t-shirt for $18.99. Pick up your copy of the single HERE, and check out the t-shirt bundle HERE. Fans attending this year’s The Summer Slaughter Tour can grab their copy at the band’s merch booth throughout the tour. The most extreme tour of the year has returned with its most devastating and anticipated line-up yet. The 7th annual Summer Slaughter Tour, presented by Indie Merch Store, ESP and Guitar World, is now officially slated to run from July 19th through August 24th. It features such heavyweights as The Dillinger Escape Plan, Animals As Leaders, Periphery, Norma Jean, Cattle Decapitation, The Ocean, Revocation, Aeon and two bands TBA. Stay tuned over the coming weeks for official tour dates to be announced. This entry was posted in METAL and tagged Bonus track, cattle Decapitation, clear vinyl, Dillinger escape plan, extreme tour, Guitar World, japanese bonus, merch table, metal radio shows, norma jean, Ocean, Periphery, Philly metal radio, Revocation, San Francisco, Summer Slaughter Tour. Bookmark the permalink.